Intel’s official website has listed a series of upcoming Cascade Lake processors for the Xeon server family. The listed processors include both Cascade Lake-SP and Cascade Lake-AP series that will be aimed at HPC and datacenter markets. The two processor families listed by Intel are part of the 14nm based Cascade Lake family. Now we know that Cascade Lake family isn’t only coming to datacenters but also aiming for the ultra high-end desktop market with a new line of products. 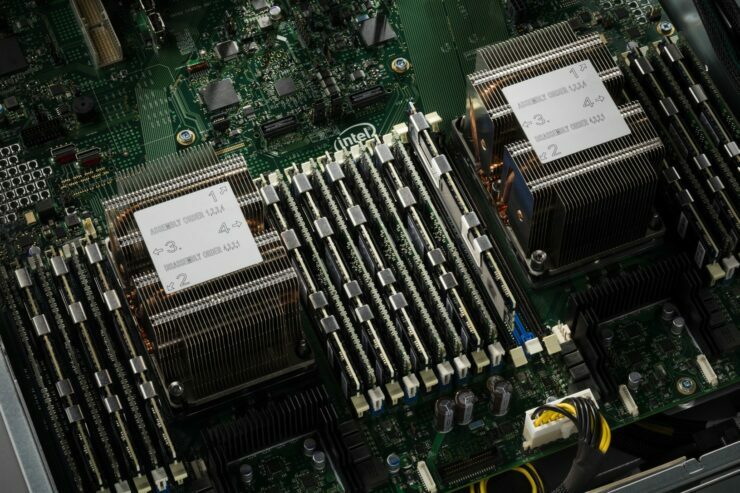 Basically, we are looking at Xeon Platinums being re-purposed for enthusiasts that are an ultra-niche market. Regardless, Intel will be offering Skylake-X refresh processors since the cost of the new HEDT LGA 3647 market will be just too much even for the enthusiast community. Now, we have known Cascade Lake-SP family for a while and the Cascade Lake-X family will have lots of similarities with it. Both Cascade Lake-SP and Cascade Lake-X processors will be featuring support for the LGA 3647 socket. Both families will have support for 6 channel memory and we can also expect faster memory support of DDR4-2800 (native). Cascade Lake-SP processors will be the first to feature Optane DIMM support which is shipping later this year but this cannot be said to be true for Cascade Lake-X series. Moving on to the Cascade Lake-AP series, the new family will be the first to use the “Advanced Processor” badge. The Cascade Lake Advanced Processor lineup is Intel trying to regain their momentum on the server side after taking a huge hit by AMD’s disruptive EPYC line of CPUs that offer more cores, more memory and more PCIe lanes while retaining Intel’s level of IPC. This has taken a toll on Intel’s market share and the effects are apparent with Intel’s CEO, Brian Krzanich, expecting his company to lose server market share to AMD’s new platform. With Cascade Lake-AP, Intel plans to execute their own MCM (Multi-Chip-Module) approach. An industry insider, Ashraf Essa, has previously heard rumours of the Advanced Processor lineup and mentioned that it wasn’t expected until the Ice Lake generation. But now with the EPYC series proving to be crushing Intel in one of their dominant markets, there’s no doubt that they’ll end up using an MCM approach a generation early. I heard a rumor of a Xeon Advanced Processor which was an MCM. I thought it was ICL-SP based but could it be Cascade Lake based? This will be first major MCM product in a while and it remains to be seen whether they’ll use EMIB or another interconnect fabric on the new chips. Currently, Intel has three different dies that include LCC (Low Core Count), HCC (High Core Count) and XCC (Extreme Core Count) configurations. We can expect a mix of LCC and HCC dies on the advanced CPUs since they make perfect sense in a large, MCM solution that is expected to run stable and efficient under 24/7 loads. 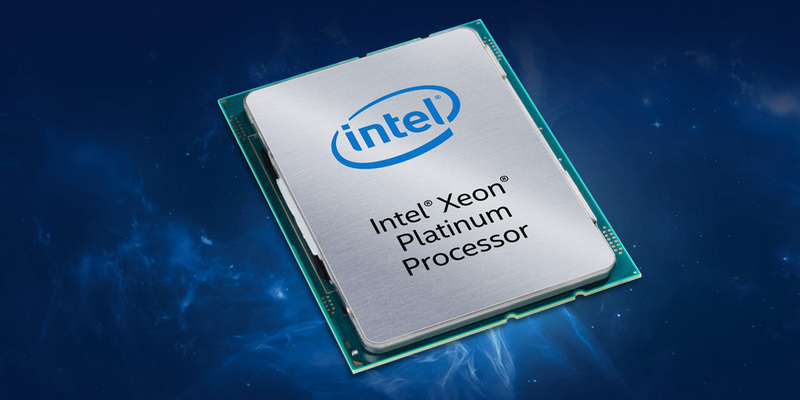 Currently, Intel has 28 cores on their top Xeon Platinum chip which is being ported to LGA 3647 for consumers later this year. With the LCC config, you get a maximum of 10 cores and the MCC config gives you 18 cores while the HCC config gives you 28 cores. A four die SKU on the LCC can give a maximum of 40 cores while a four die HCC variant can give up to 72 cores. Now, we are definitely aware of the power requirements that would go along with such high cores and since Intel will be using 14nm++ for these chips, we expect the core clocks to be very conservative. At the same time, a sudden jump in I/O and PCIe connections would be expected. Pricing would be really high for these chips and the new CPUs will be packaged in the BGA 5903 format only. Expect these chips no earlier than 2019.